ImseVimse Wet Bag is soft, washable and made of laminated polyester. 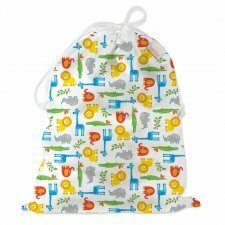 Perfect for bringing wet cloth diapers, or wet and dirty clothes. Use it at home, or when you’re away. The bag holds 5-7 All-in-One Diapers/One Size Diapers or 7-8 Diapers and 2-3 Diaper Covers. 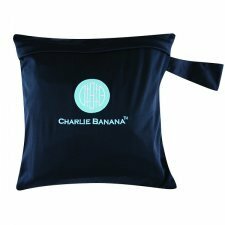 Made of polyurethane laminated polyester that is BPA free, lead free and PVC free. Colours: African animals or woodland animals.